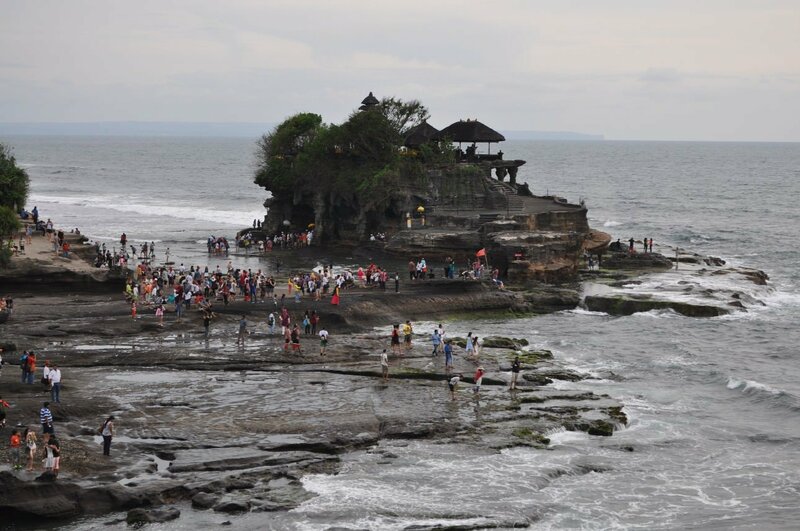 Tanah Lot temple sits in the sea and is a very popular place to some and watch the sunset. 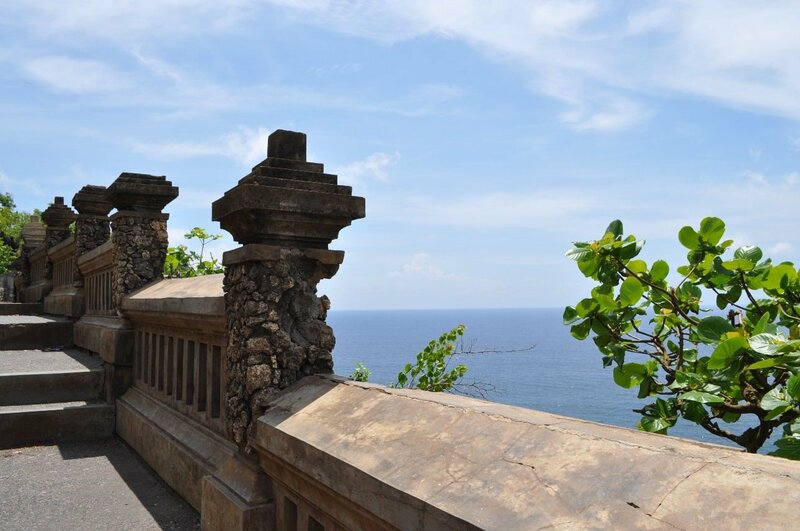 Ulawatu is a Balinease Hindu Temple located on top of a 70m high cliff jutting out into the sea. 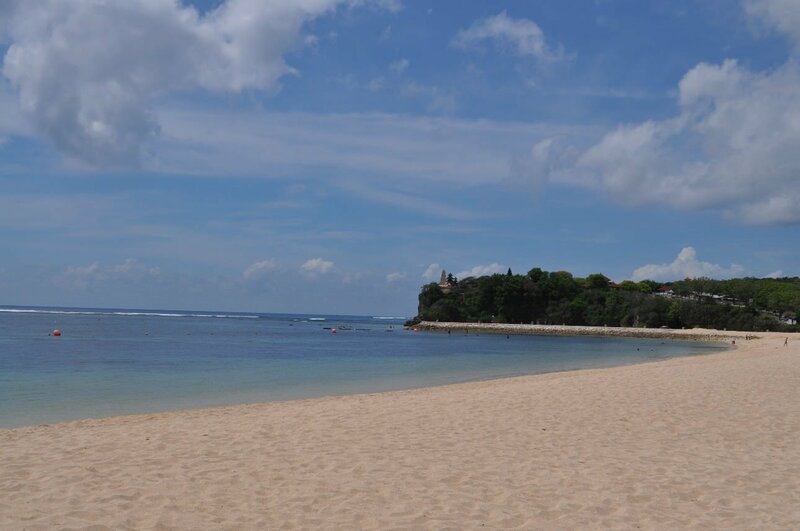 Nusa Dua beach is a really nice beach lined with 5 star resort hotels. We stopped by to sun bathe and grab a drink before going to visit some of Bali's temples. 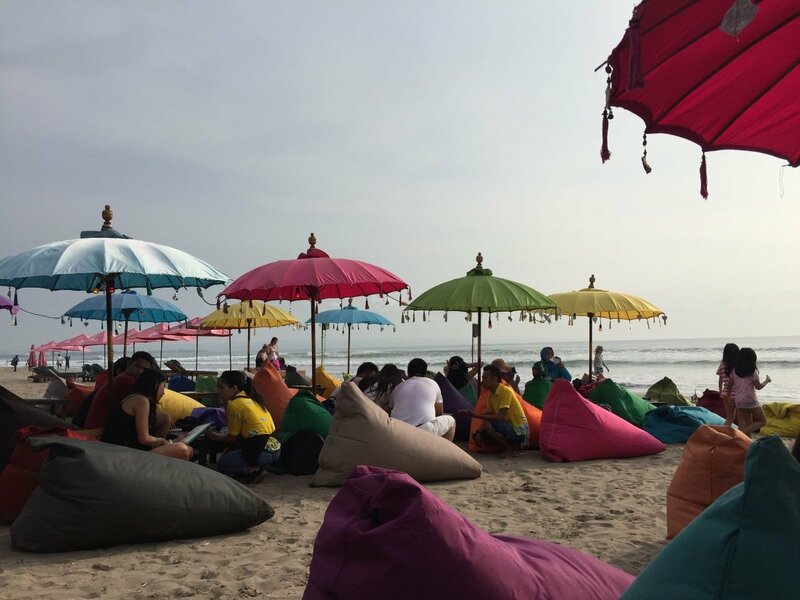 We really enjoyed our time in Seminyak, a nice little beach town in southern Bali. 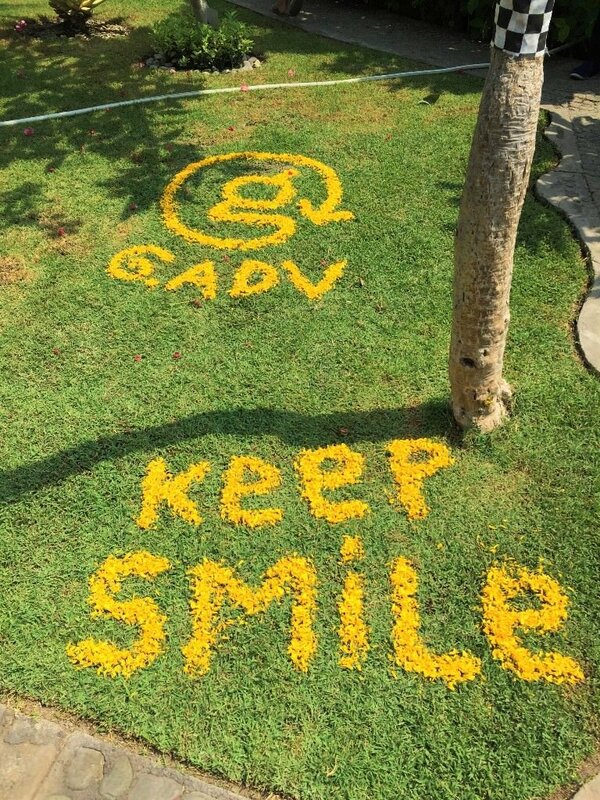 It has a more chilled out and classy vibe than the neighbouring town of Kuta, which is a trashy Aussie party destination. Having said that we did enjoy visiting Kuta as that is where Waterbom, awesome waterpark, and our surf lesson out of the Hard Rock Hotel could be found. 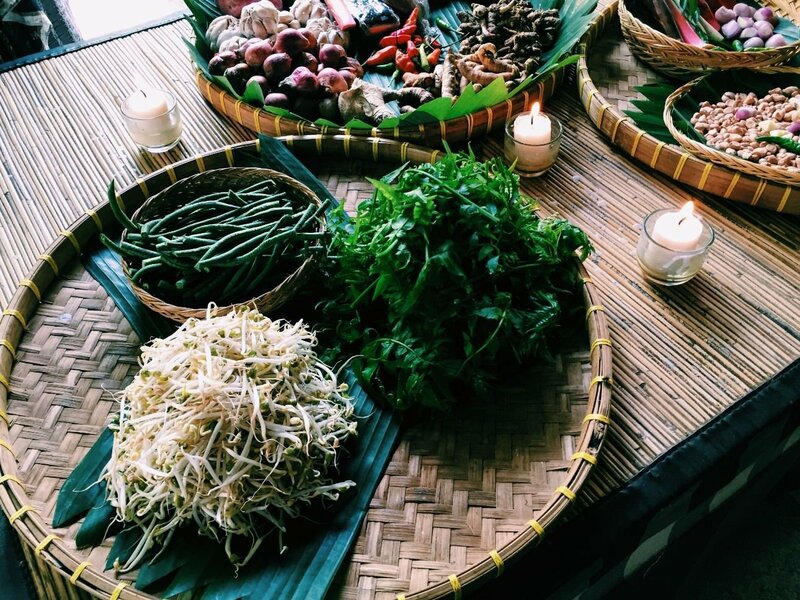 We booked onto the Lobong Culinary Experience to learn to cook Balinese style and were not disappointed, this was a great experience and our small group of 4 managed to produce some of the best food we have eaten in Indonesia. 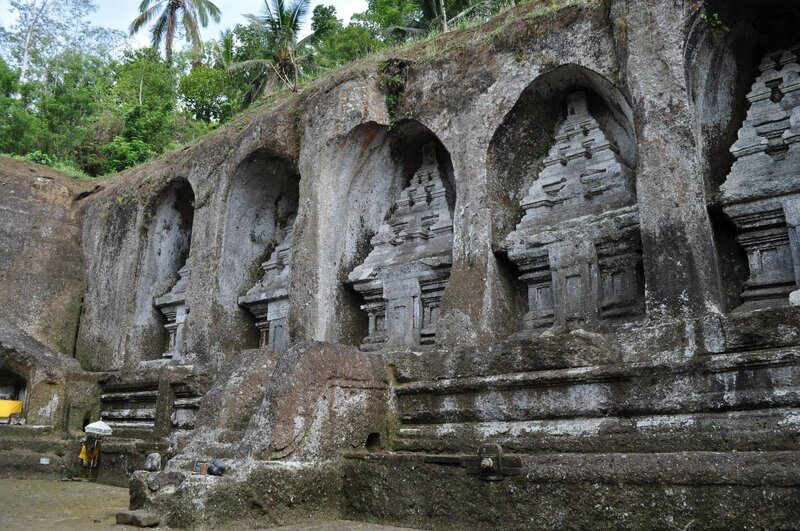 About an hours scooter ride north east of Ubud gets you to the Gunung Kawi Hindu temple. It is a good one to come and visit as the temple is built into the hillsides on either side of a river and features 10 7m high shrines carved into the rock cliff faces. 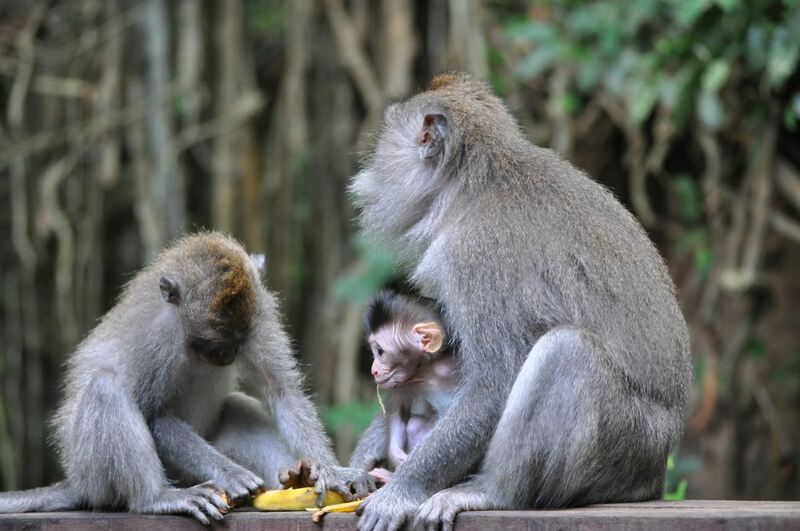 The Ubud Monkey Forest is home to over 300 monkeys and a Hindu temple complex. It is a nice place to walk around and get up close to the monkeys. Ubud is regarded as the cultural centre of Bali and is famed for its Yoga, Spa and healthy eating scene. 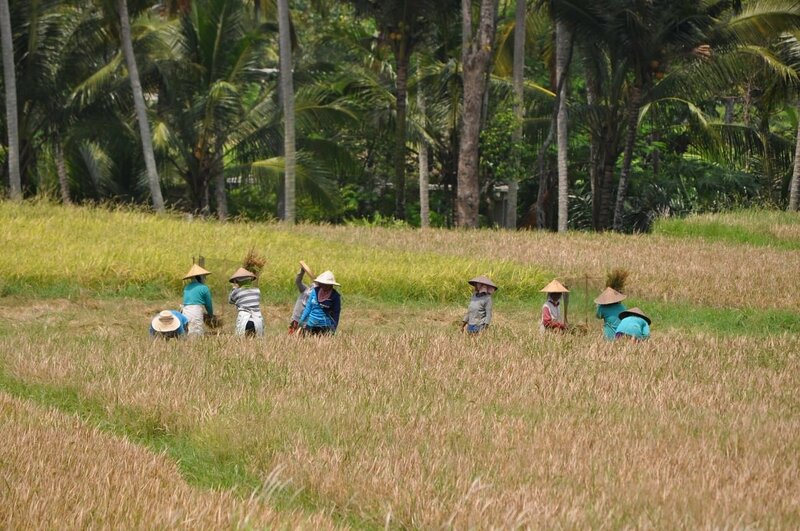 We really enjoyed our time here, Ubud town is a very busy touristy place but with a short walk you can find yourself out in the surrounding rice fields. Upon our arrival in Ubud we were met buy our Air BnB hosts and they gave us and our luggage a scooter ride to our accommodation down a little winding path past rice fields and villas. At this point we were a bit unsure about where we were being taken and were wondering if we had made a good accommodation choice, however these fears soon dissipated once we arrived. Pemuteran is a small fishing town in northern Bali and was our first stop in Bali on our G Adventures tour. 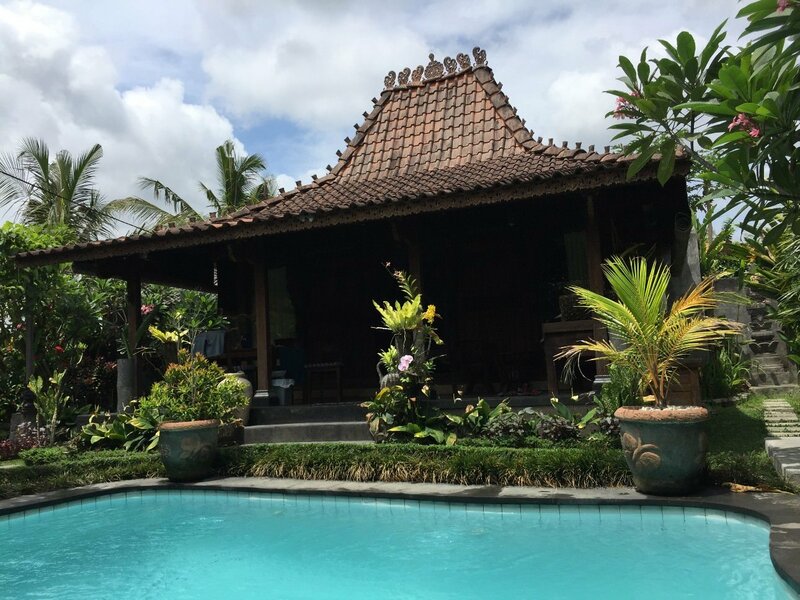 It is ideally located to Menjangan Island which is one of the best diving locations is all of Bali and our fantastic home-stay accommodation was only a short walk from the beach and snorkelling area.